Going back in the past where the computer systems were a new invention, we realize that there were no adequate methods of transferring the data from one device to another. 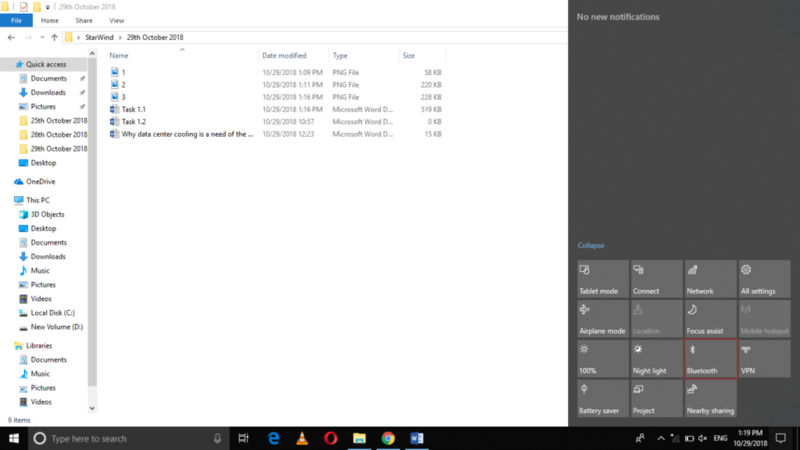 However, as technology progressed, the most convenient and easy to use file transfer methods were devised. 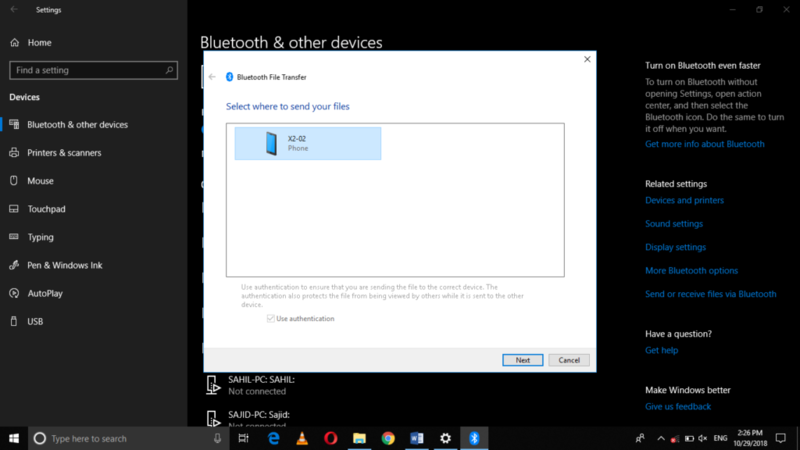 Earlier, those methods were restricted only to those devices, which had a physical connection between them, but with the advancements in technology, now you no longer need to connect the devices physically in order to transfer the data rather you can do this simply by using the Bluetooth feature. In this article, we will explain to you the methods through which you can turn on and use the Bluetooth in Windows 10. In the first part of this article, we will tell you the method of turning on the Bluetooth whereas, in the second part, we will tell you how you can use it in Windows 10. Let us now proceed with the explanation of our methods. 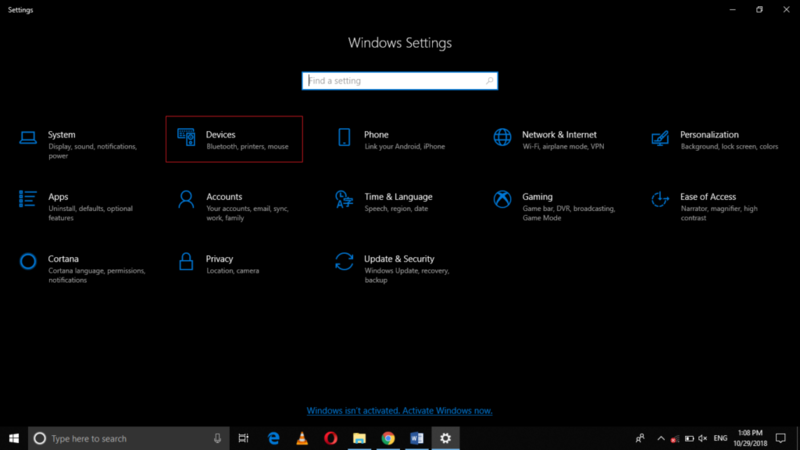 Click on the Devices tab as highlighted in the image shown above. 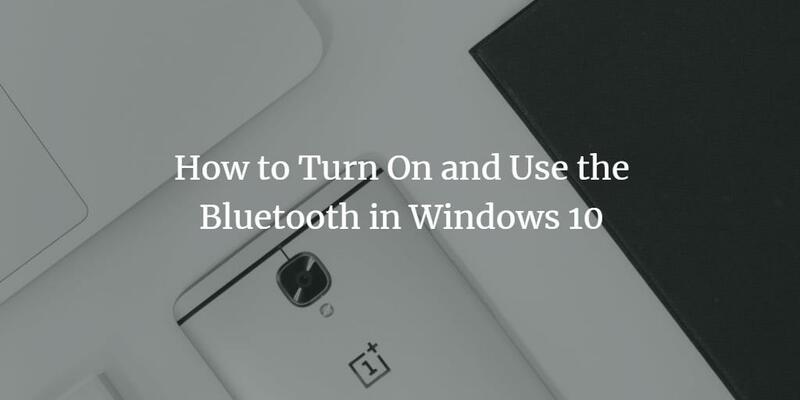 As soon as you will turn on this toggle button, your Bluetooth will be ready to be used. 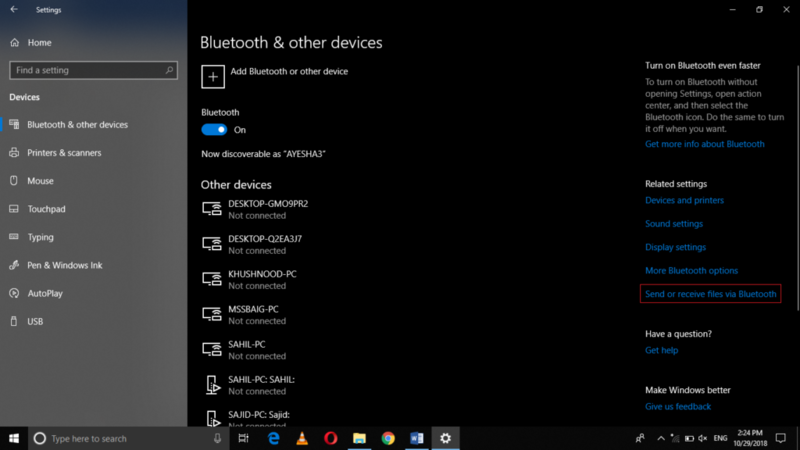 Locate the Bluetooth icon on the Notifications menu as highlighted in the image shown above. 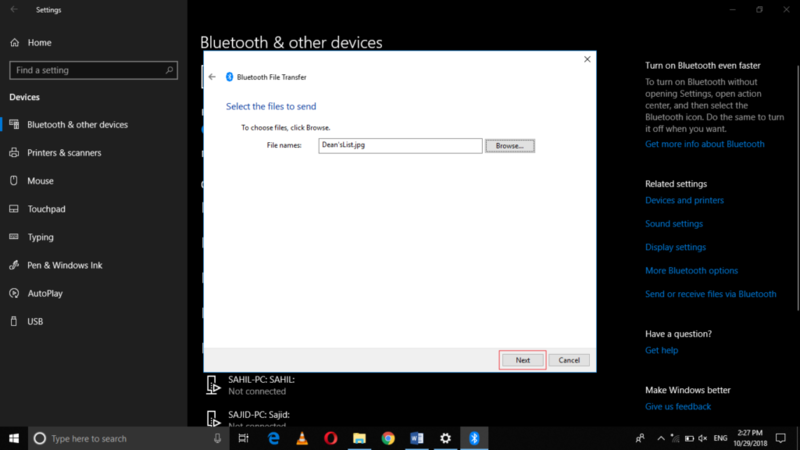 Now click on the Send or receive files via Bluetooth link as highlighted in the image shown above. Now you will be asked to browse through your computer system in order to select the files that you want to share via Bluetooth. 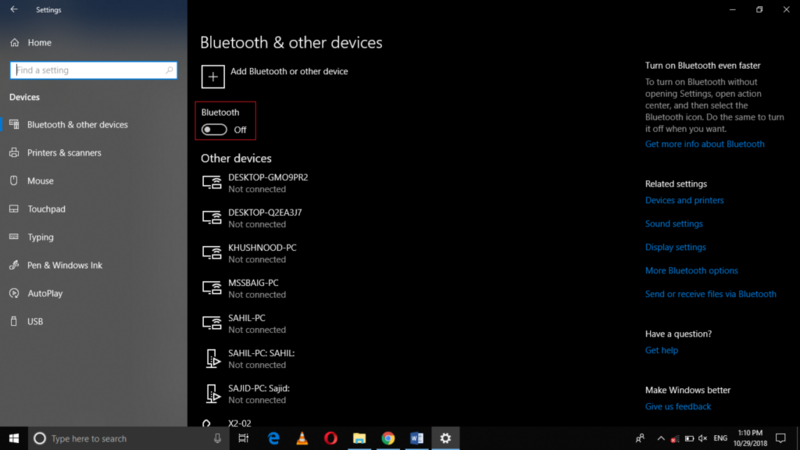 By following the method discussed in this article, you can easily turn on and use the Bluetooth in Windows 10. You can use this feature for sending and receiving your important files right according to your needs. 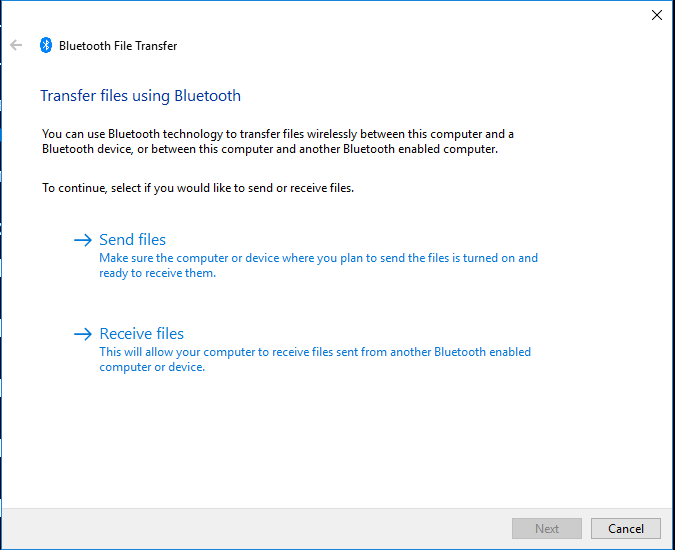 Indeed, file sharing has never been this easy as it is with the Bluetooth feature now.